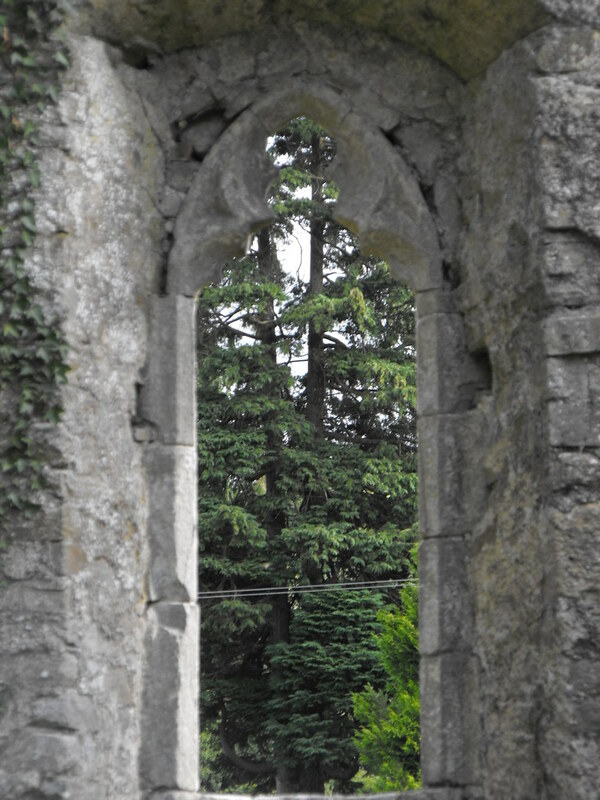 The Standing Stone: Corville Abbey, Co. Tipperary. 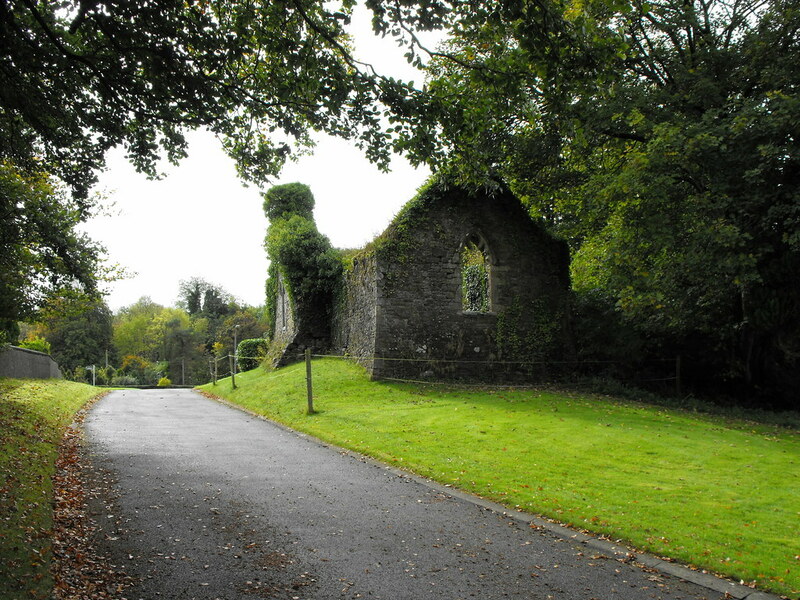 Location – In the grounds of St. Anne’s Convent just outside Roscrea. OS: S 153 886 (map 60). 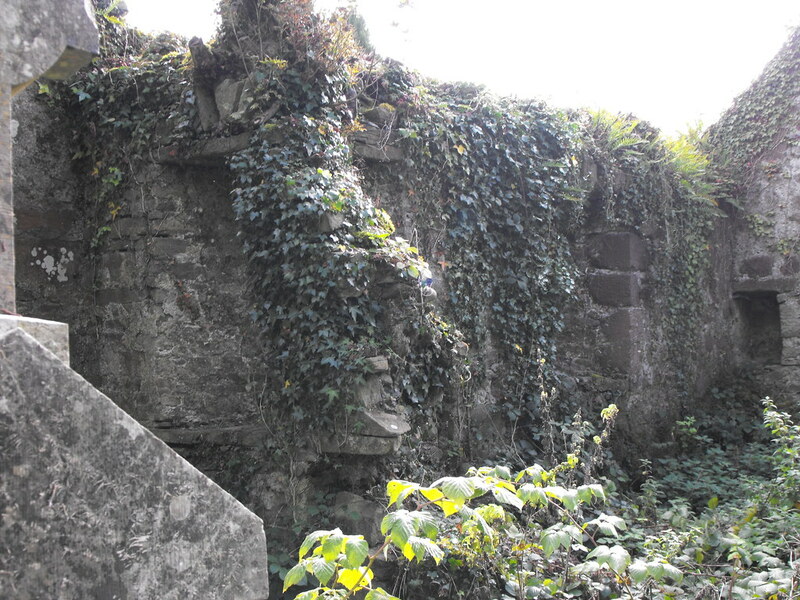 Description and History – Firstly this site can cause some confusion as it is also known ‘Corbally abbey’ and ‘Sean Ross’. The disadvantage of treating every site individually is that we begin to think of these sites as individual when they are not and belong to a larger context. 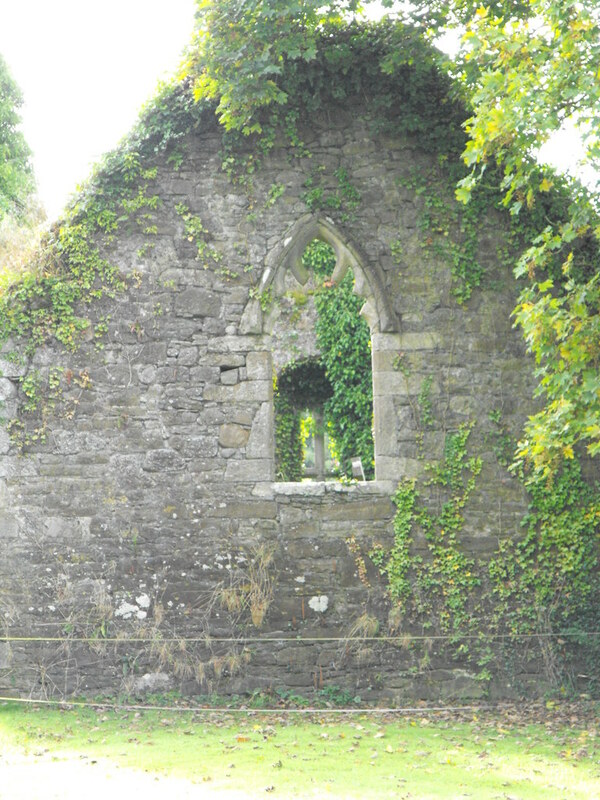 This site is highly linked to Monaincha Abbey and the Romanesque church at Roscrea. 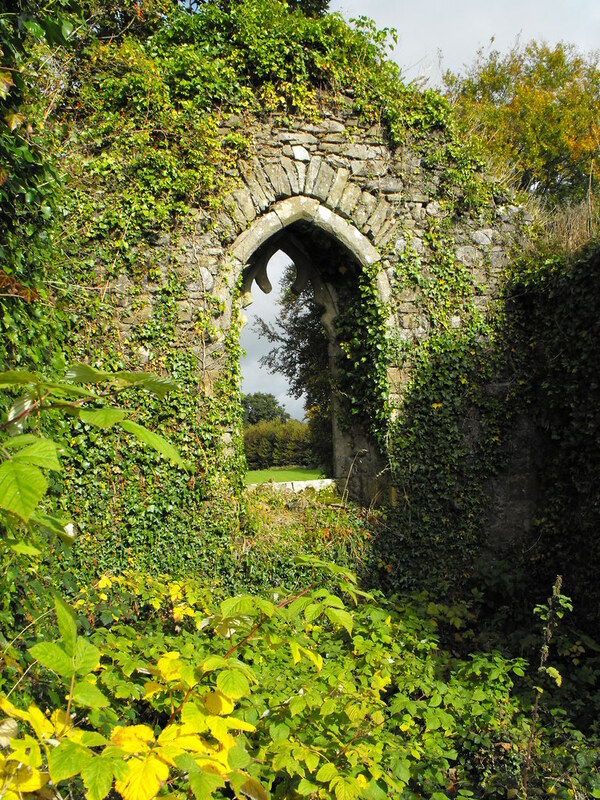 Although now lost the original foundations at Corville were founded by St Cronan who abandoned the foundation and moved it to the more accessible Roscrea. 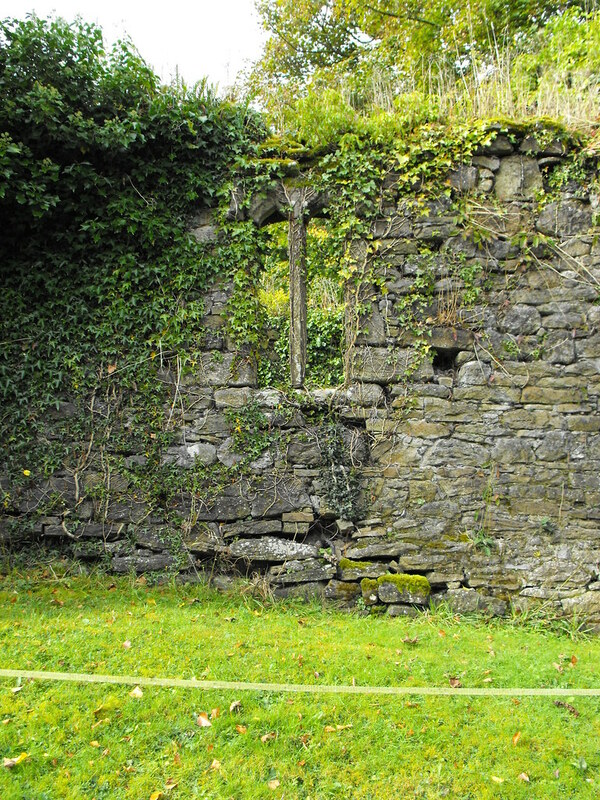 The Augustinian Abbey at Monaincha was then moved to Corville in the late 15th century. 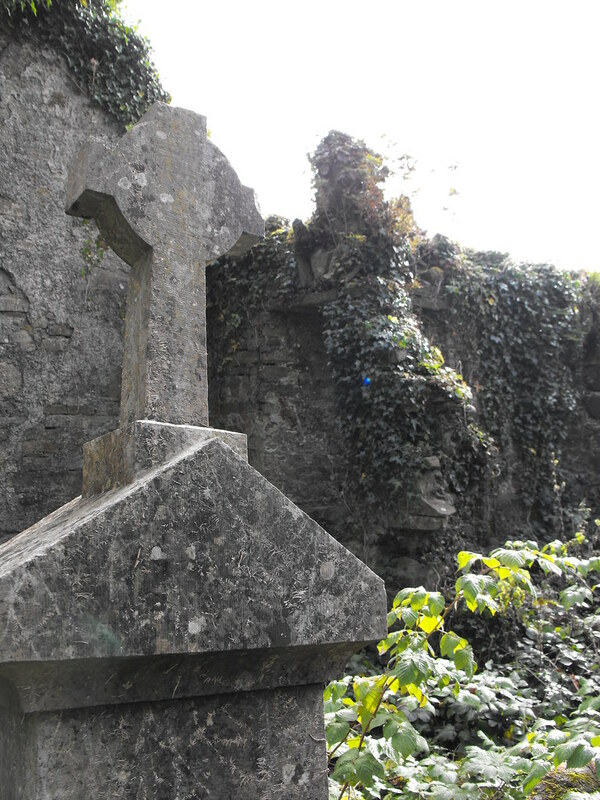 Therefore, when we think of this site we should also think of Monaincha and Roscrea as they all form part of one large ecclesiastical landscape. 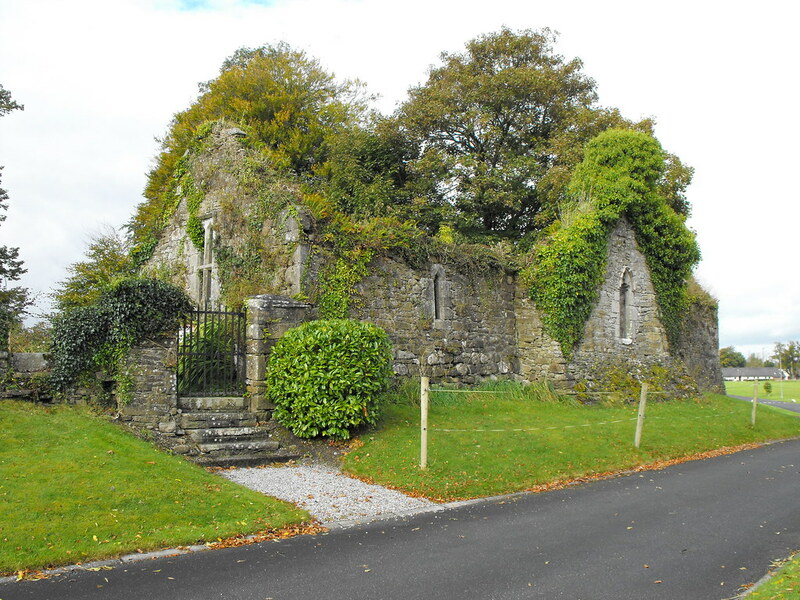 The present remains consist of a church with transepts in the N and S walls. The church is roughly 15m x 6.5m while the transepts are roughly 6.5m x 6.5m. The E wall has a very pronounced base batter that almost looks like it is in danger of collapsing. 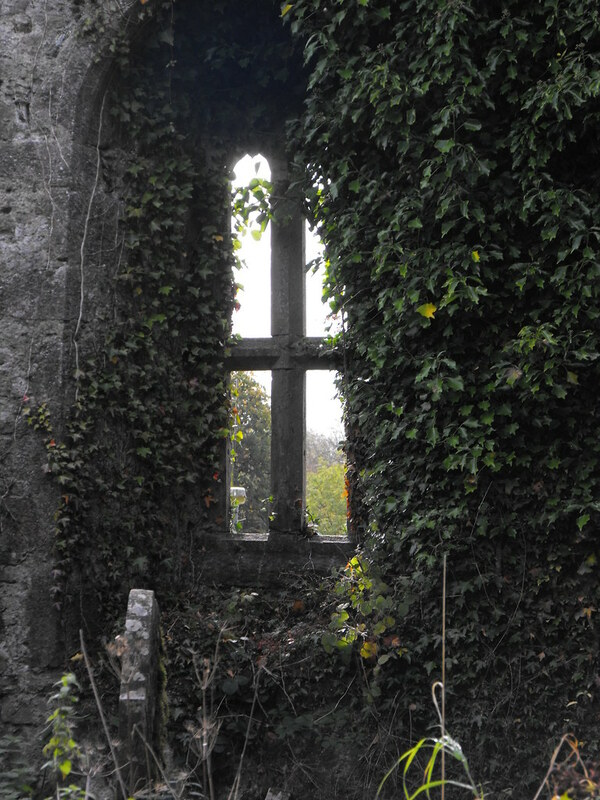 The windows in the transepts are very attractive with vine leaf decoration. 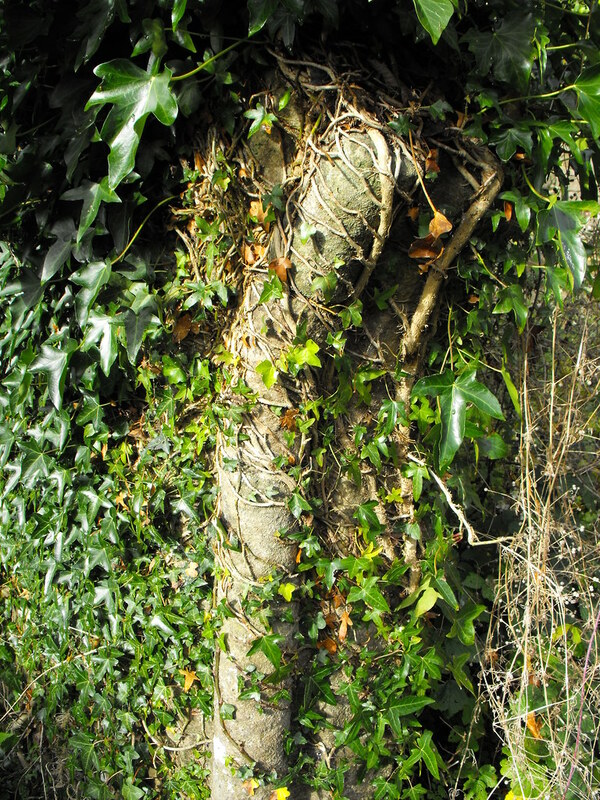 Unfortunately, this site is very overgrown and it is therefore hard to identify certain architectural features amongst the ivy growth. 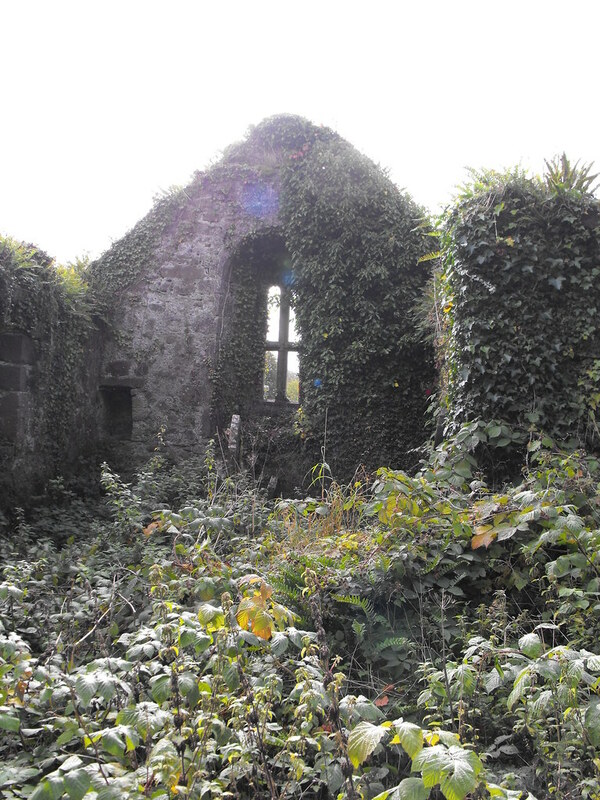 There are also a lot or brambles on the ground which make traversing the site difficult (not impossible) and it is easy to trip on rubble and broken gravestones. With a little gardening this site could easily made safe and much more accessible for visitors. Unfortunately the policy seems to be one of forgetfulness. 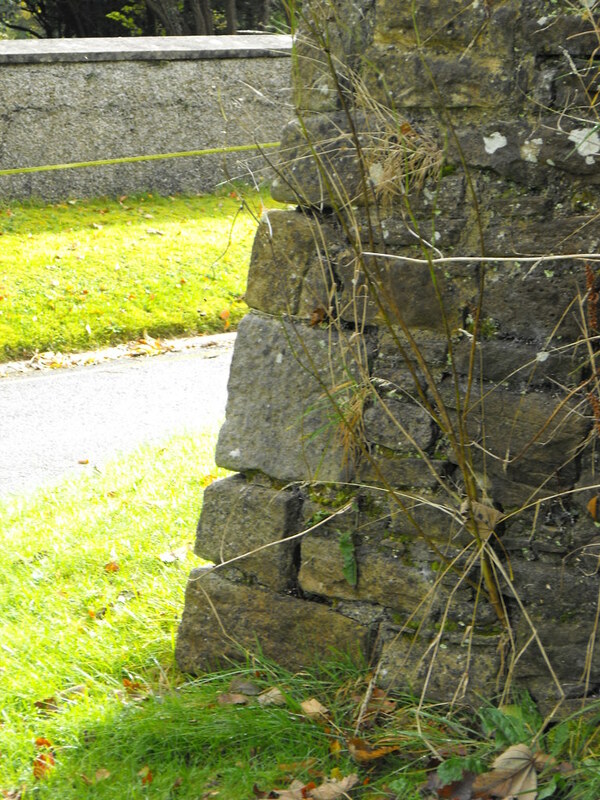 The E wall is leaning dangerously outward and some graves inside the church are now propped up with planks. Eventually that wall will fall and I just hope there is nobody driving or walking past at the time. 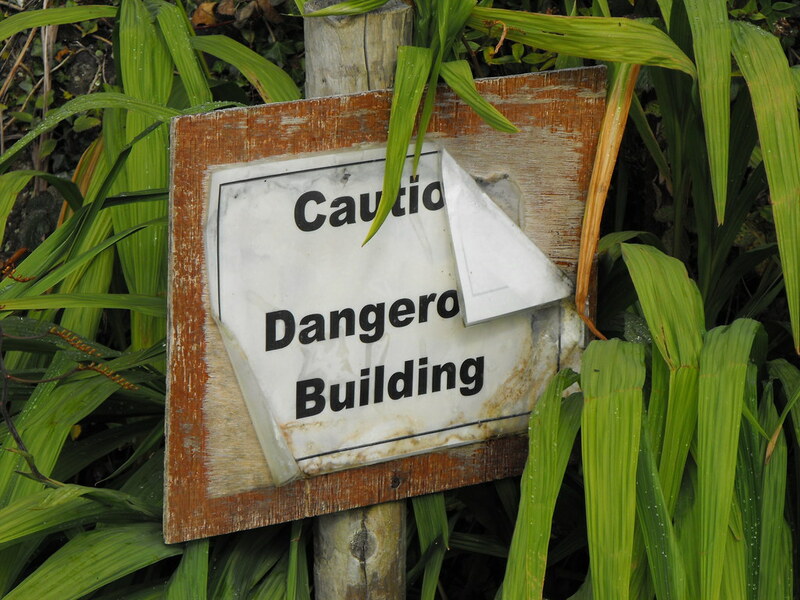 Difficulty – Easy to find but difficult to traverse due to the undergrowth. For more gothic churches, click here. The highly prominent base batter. 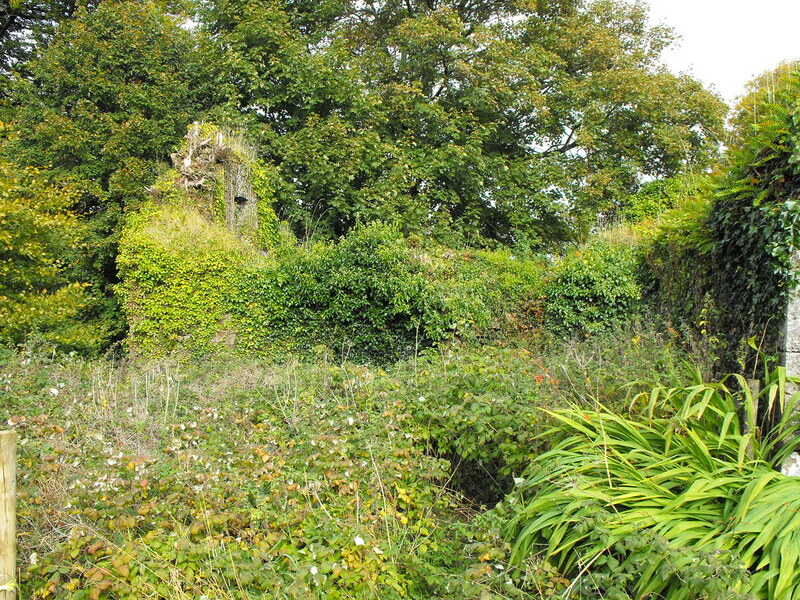 The rear of the church is very overgrown. 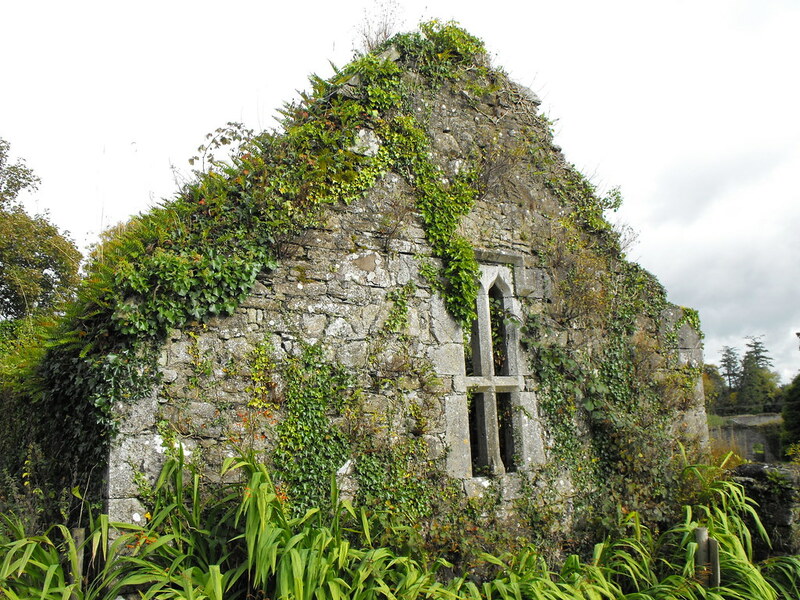 As you can see the interior of the church is very overgrown. 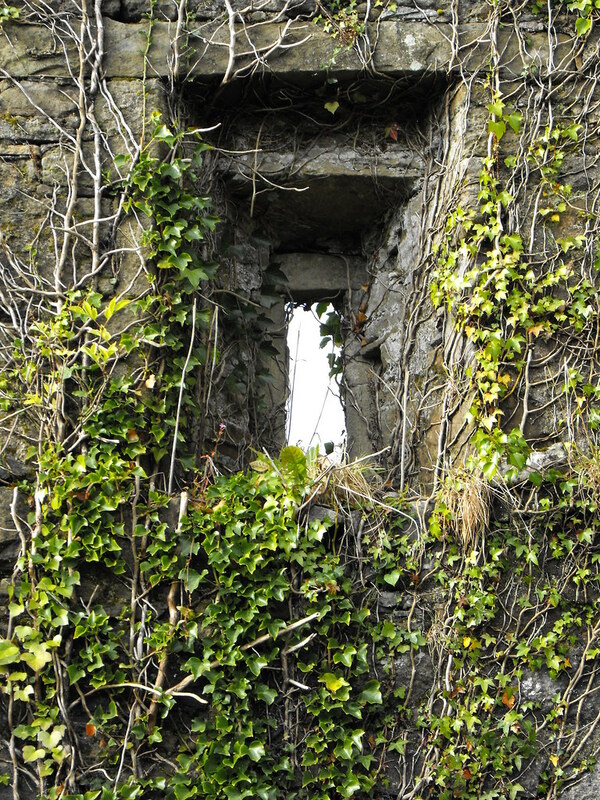 The remains of an arched doorway. 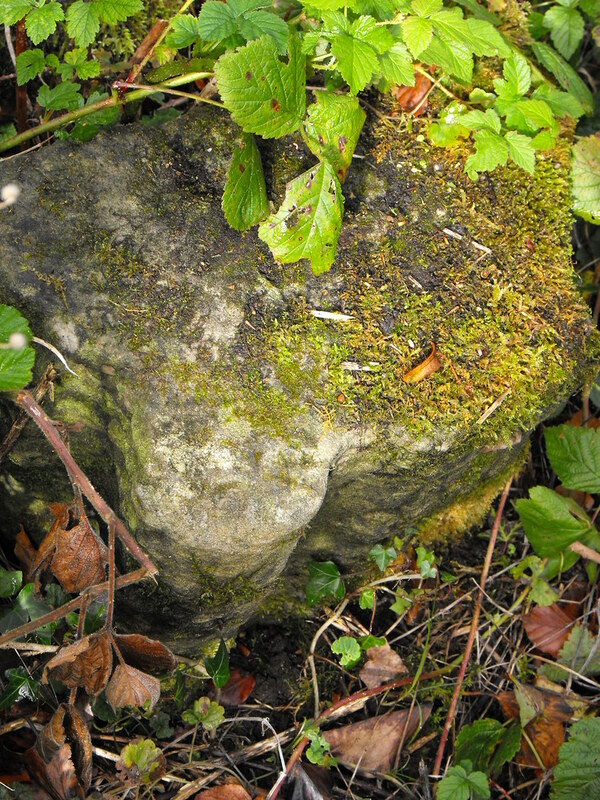 Architectural fragments are lying all over the place in the undergrowth.